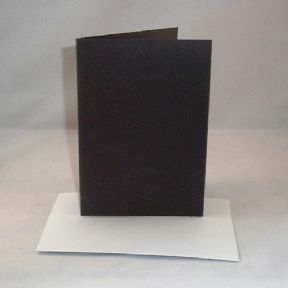 Home > Greeting Card Blanks & Envelopes > 5" x 7" Greeting Card Blanks & Envelopes. Please choose the quantity of card blanks & envelopes you require from this drop down menu. Here we have our very own 5" x 7" Black 275gsm greeting card blanks which are supplied with white envelopes to fit.